I am going to be honest. I like poodles. This is not something I usually lead off with or something I would say on a first date, because, let’s face it, it tends to elicit this preconceived opinion of the other party that I, for some reason am a “Poodle Person.” It’s this judgment that somehow owning or liking poodles is a bad thing or a weird thing. OMG what if it is contagious!? I grew up with poodles back in the 80s when perms were popular among adults (un-cool), when us kids were trying to sport the side tail. I had it rough. The minute someone found out that I had a poodle (on top of being chubby), well that was it. I would get the look, that in one glare I could tell I was not being enjoyed. It was like having a manila folder when everyone else had trapper keepers. I get it. I try to view this from both sides of the spectrum. 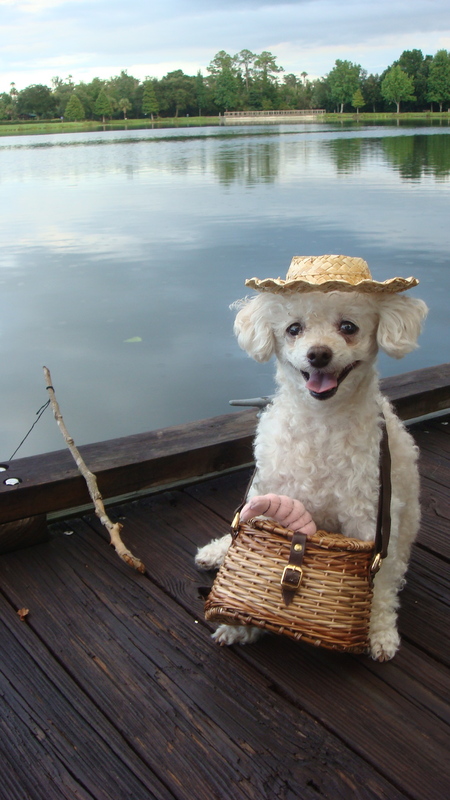 Poodles look stupid. They always look like they are miserable, angry, constipated, irritated, wealthy, late for something, old, pretentious, bloated, absurd. They are always paraded around on a shoulder like a parrot or in a large purse. Their jewelry is more valuable than yours. They eat better than you. They have natural, gorgeous curls. Their wardrobe is bigger than yours. They are smarter than you. They have more product in their hair than you ever will. So much to resent. So much to loathe. The poodle does have a natural look of displeasure to it in most cases. Which I can understand is a turn off. The curls make it look both in and out of fashion at the same time. Its general disposition is complacent, irritated, spoiled. And I love all of it. I learned at a young age that I needed to take these qualities and feelings inherent in a poodle and make them more apparent. Capitalize. 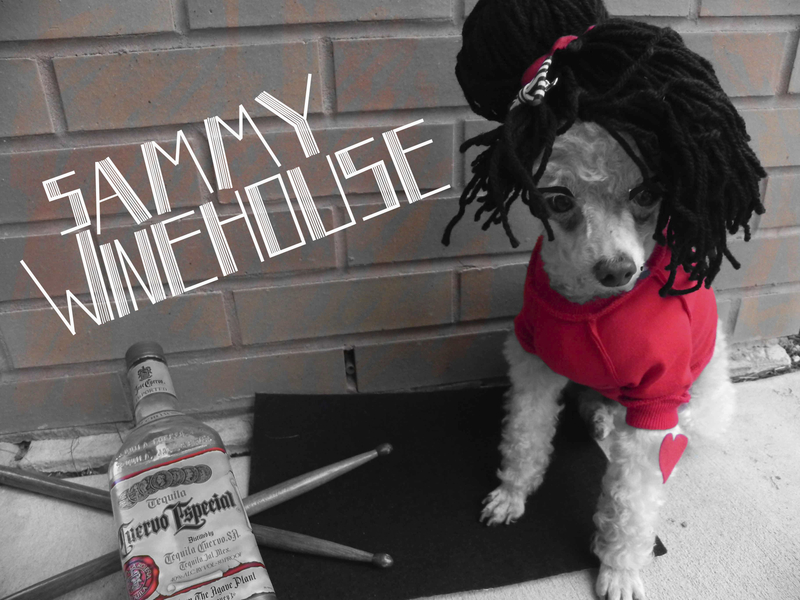 My 15 year old tiny toy poodle Sammy made his video debut in a class project in 1999, as an old Italian woman. I knew then he was made for the screen. 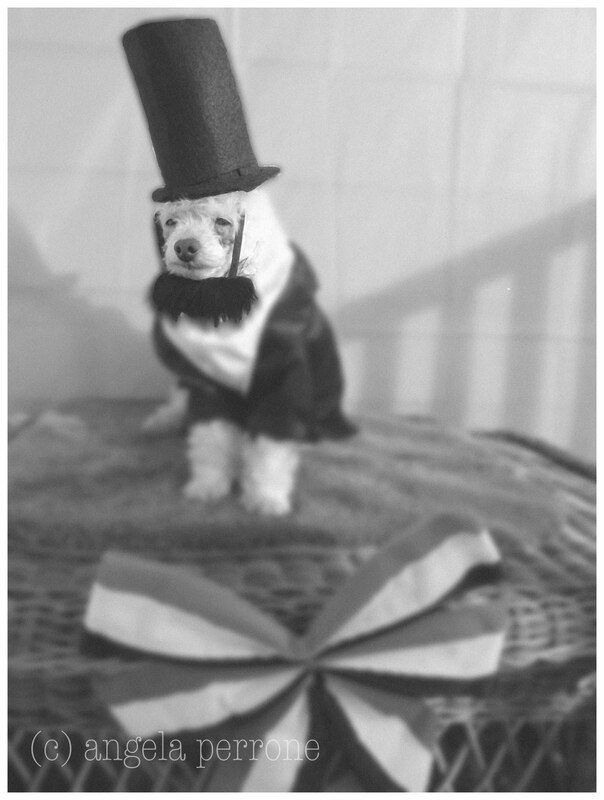 14 years later I have developed quite the repertoire of professional photography of Sammy and other poodles dressed as past presidents, famous characters of fiction, musicians, the common man. I even produced, directed and edited his first full-length music video “Little Sam Riding Hood,” featuring the hit song by Sam the Sham and the Pharaohs. Not every poodle has to look like Mr. Kotter with a snaggle tooth. But if she does, I would orchestrate a mustache, build a set and make this year’s Christmas card photo.